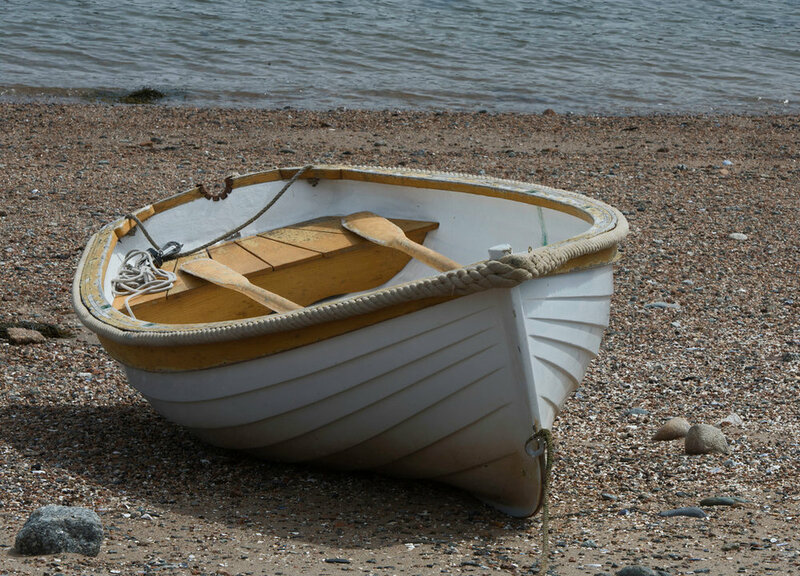 Here we see a small, tethered dinghy waiting alone Friday on a deserted beach, like a well-trained dog. Its masters – known affectionately here as “The Vikings” – live virtually full time on the Norwegian Pilot Cutter Flekkerøy (see post of April 27). We remember hearing their laughter roll over the waters of Great Cove while they sailed this dinghy into the sunset on a beautiful evening last Fall.